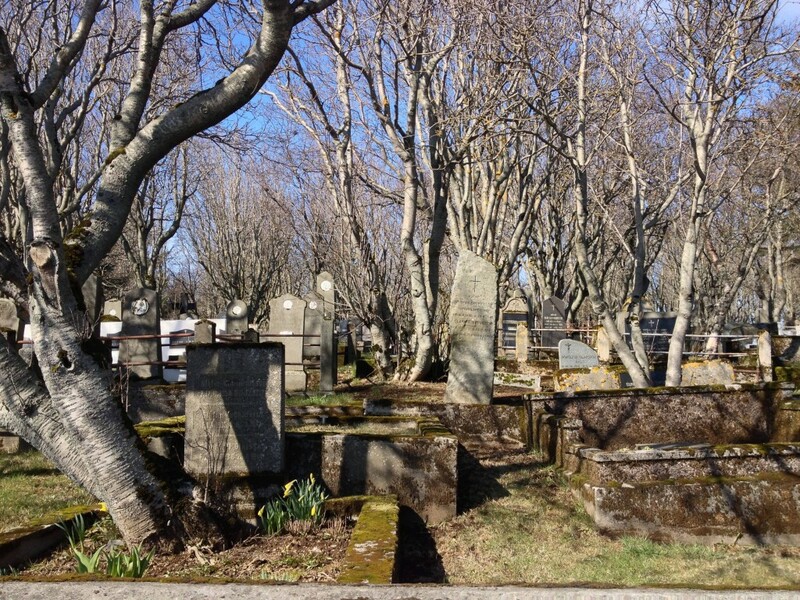 While I'm on the topic of Iceland, I thought I'd write a little bit about an observation I made back in April 2013 regarding Icelandic naming conventions and cemeteries. In Iceland they have a patronymic naming tradition; your last name is the first name of your father followed by a suffix depending on your gender, either -sson or -dottir. If I had a son he's be Georgesson, and if I had a daughter she'd be something like Georgesdottir, though I think there might be spelling rules that change with names ending in consonants. This creates a funny situation where it's sometimes difficult to track a person's lineage. Bundled with the small population and remoteness it's suddenly not so surprising they have apps designed to keep you from dating your cousins. I also discovered this isn't just a problem for the Icelandic dating scene; it makes strolling through cemeteries and trying to decipher the relations between people long-past downright confusing. Some plots and tombstones were more helpful then others, specifying roles within the family along with the names and lifespans. But a few of them — some of the older ones — simply contained names and lifespans leaving the rest to guesswork. You can reasonably assume two people with different last names in the same plot were likely to have been husband and wife, but it's not a guarantee. 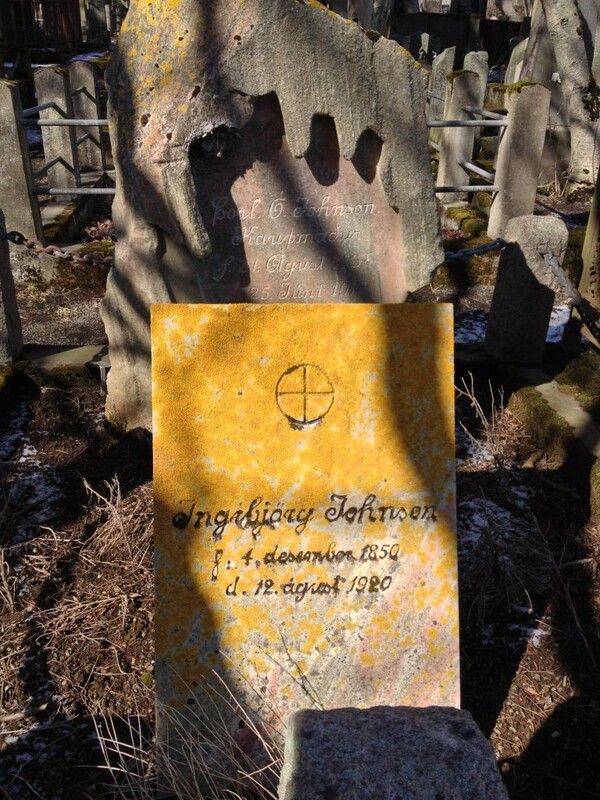 In a lot with three or four tombstones you'll rely on ages and naming conventions to determine the parents. In the photo above it appears Gudrún is buried with her parents Elín (mother) and Gisli (father) and someone named J.Sòlveig. At first I thought this person might be her husband due to the word husfru, but it turns out that's something of a false cognate and the last name ends in -dottir, indicating J.Sòlveig is female ((Perhaps the first name is a dead giveaway too for people who speak Icelandic. Not so much for me.). So... who is this person? If she were a sister to Guldrún she would presumably have the same last name of Gisladòttir. Interestingly it turns out that husfru means housewife (the other two words: þerna means maid and vörubílstjóri means something like a ferryman, I think). The first explanation I could come up with her was that J. Sòlveig is Gudrún's sister and was possibly buried with a married name (But without her husband!). But in Iceland they don't generally change their names upon marriage, so this seemed unlikely. I've also viewed this outside the heteronormative prism and wondered if J. Sòlveig and Gudrùn were perhaps partners. 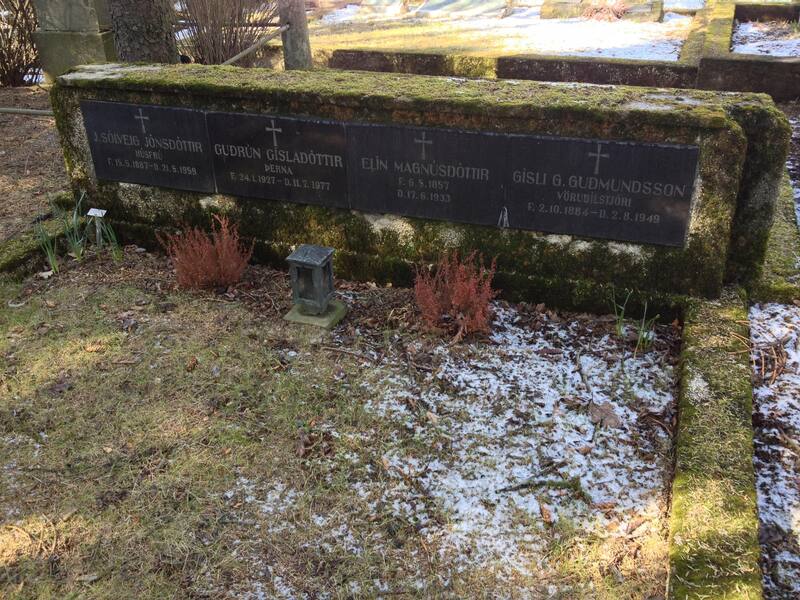 It's certainly not impossible, but would surprise me to see them buried together given the dates involved. The biggest problem with any theory that they are sisters I realized is that J. Sòlveig is actually just about the same age as Gísli. Perhaps she is actually Elín's sister? Eventually I gave up. It's an interesting challenge because it seems like such a simple thing on the surface. Is there a super-obvious explanation here that someone can explain to me? I 'd love to hear it and will happily update if I ever get one.